Ignoring my attempt to resurrect a dead meme, in my last post, I didn’t cover the concept of autoethnography directly. I mainly did this because literally everyone else had and thought you the reader would be bored of reading the same definition 30+ times… But I still need to prove that I actually know what I’m on about, so here we are. Autoethnography; being comprised of the words auto meaning “self”, ethno- meaning “culture” or “race”, and -graphy meaning “science” or “study”, is a form of qualitative research which arose in response to more empirical approaches to cultural study in the 1980’s. Empirical research attempt to bring a scientific objectivity to cultural studies, which many believed had “…ontological, epistemological, and axiological limitations.” (ELLIS & BOCHNER, 2000) Basically, lots of academics didn’t think empirical research accurately represented other cultures. The solution was to create a system of research which not only embraced subjectivity in cultural studies, but harnessed it; and so autoethnographic research “…combines characteristics of autobiography and ethnography” (Ellis et al. 2011) by having the writer subject themselves to another culture so as to record and analyse their experience. 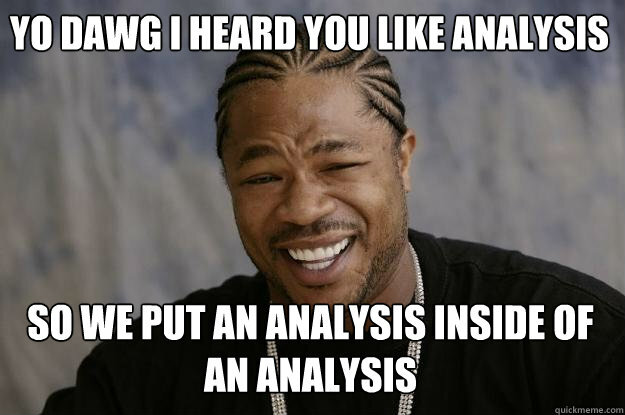 Brace yourself, I’m about to get really meta here, because I’m going to be analysing my analysis from my last post. What I attempted in my previous entry, “Joining the Autoethnographic Swarm“, was to perform an autoethnological analysis on my reactions to the documentary “State of Play”, looking at the South Korean professional StarCraft scene, which for me was a bit of a challenge. Having been exposed to Asian (particularly Japanese) media previously and being a gamer in what little spare time Uni affords me, it is difficult to find “interesting” opinions to write about competitive gaming because it’s not an entirely new concept to me. This was why I tried to focus more on the differences between how South Korean and Australian cultures respectively treat gaming, in particular competitive gaming; with some thought, picking apart my cultural biases towards the documentary could be accomplished, with a few examples from my personal experiences while gaming to help contextualise my thought process and opinions. After doing some more reading, the decisions and attitudes of the subjects in the documentary make a lot more sense. There is a decent amount of money in pro-gaming, making it a legitimate career path for young people in South Korea, mainly coming from corporate sponsorship. In 2012, the Business Insider published an article using several sources itself to verify the earnings of top StarCraft II players, with the top 10 making 3 figures in the image they provide. It’s a growing entertainment industry and Asian companies are well aware of it’s potential, though Western-based companies outside gaming may be slow to adopt a similar approach, possibly due to the reasons I went over in my previous article. 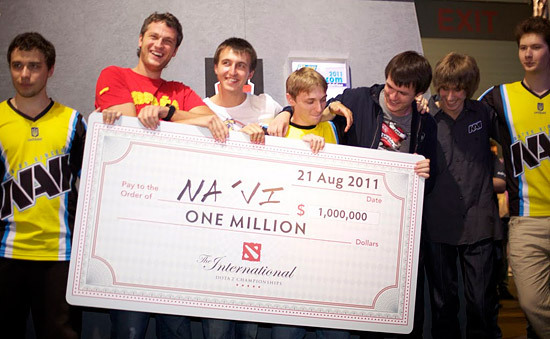 Team Natus Vincere having won the DOTA2 International 2011. Adoption by a female demographic seemed to be a common thread that came out from everyone’s blog posts on the documentary as well. It turns out that there have in fact been female-only tournaments in South Korean StarCraft since at least 2003 according to Liquipedia, as well as mixed teams emerging after the release of StarCraft II. Why this was not covered by the documentary, I’m unsure; it does lead me to think however that while there is a gender-gap in professional gaming, it may not be as stark as the documentary (perhaps inadvertently) suggested. Seo “ToSsGirl” Ji Soo, professional StarCraft player from 2001-2012. Just goes to show that you can’t always judge by appearances I suppose. So, in conclusion, while my initial comments on the differences between Australian and South Korean approaches to professional gaming were not entirely inaccurate, further reading shows that my views on the decisions of Korean players and the apparent gender-gap in professional e-sports were definitely skewed, most likely by the mindset I’ve derived from my cultural background in Australia. What was your experience after hearing about all of this? While you think about it, here’s something to listen to. This one is much more slow and mellow, from a really good 4x game that I enjoy. Enjoy!